Sundays - Thursdays 7 a.m. - 9 p.m.
Fridays and Saturdays 7 a.m. - 10 p.m.
ONE OF TAMPA’S OLDEST RESTAURANTS IS BACK. “I’m ecstatic to bring back Goody Goody, this Tampa tradition that opened in 1925 and closed in 2005. We’ve lost too many of these iconic places over the years. Goody Goody is one of those places that helped create Tampa’s identity. Use the NoWait app to place your name on a waiting list before you get to the restaurant. Richard Gonzmart Honored As One Of Two (DiRoNA) 2018 Hall Of Fame Inductees. Chef Jerry Bayona was on the show for a Goody Goody cooking demo and interview featuring breakfast items. ABC Action NewsChef Jerry Bayona was on the show for a Goody Goody cooking demo and interview featuring breakfast items. Florida Food and Farm: Strawberry Growers, Tampa-Area Chefs Concoct ‘Berry’ Good Idea. Ulele, Ulele Spring Brewery and Goody Goody are the featured restaurants. Tampa Bay Metro: Goody Goody named “Best New Old Fashioned Burger” on Tampa Bay Metro’s Best of Dining and Spirits list for 2017. Edible Tampa Bay: One Tasty Burger … A Slice Of Nostalgia On The Side. Profile of Goody Goody. Burger Beast’s Best Burgers of 2016. Just Hatched: Debuts to Pursue. Goody Goody named a Golden Spoon Award-Winner as "Best New Restaurant"
The V Word: Five Great Veggie Burgers from Young Tampa Bay Burger Joints. Goody Goody Returns to Tampa, Complete with Iconic Look and Tastes." More Than 40 New Tampa Bay Restaurants Opening In Spring 2016. Goody Goody Included. What's Fueling Tampa's Restaurant Renaissance? Interview from the restaurant documentary by Lynn Marvin Dingfelder with former Hillsborough Chief Judge F. Dennis Alvarez shows that it was the kind of place that drew people from all over town and all segments of the community. Harry Cline and his girlfriend Dottie started a tradition while they were dating in the early 1960s: On Sunday, Harry's day off from bagging groceries at Kash n' Karry, they would go to church, take in a movie and then head to Goody Goody. Bringing Goody Goody back to life also includes restoring a 1925 Model T panel truck built the same year Goody Goody opened in Tampa. Our thanks to Eric Glasser at WTSP Channel 10 for sharing the inside story of Goody Goody's revival and the importance of its rebirth to Tampa. Everyone who ate at Goody Goody has a different memory to share. For Tampa City Council Member Yvonne "Yolie" Capin, the restaurant's revival in Hyde Park Village later this summer evokes memories of her father, who loved Goody Goody. Richard Gonzmart was the featured speaker on Friday at Cafe con Tampa next door to the under-construction Goody Goody in Hyde Park Village. He spelled out his vision for bringing Goody Goody back to life, as well as several other projects in the pipeline. But breakfast was clearly on his mind. We can't promise that Goody Goody will change your life when it opens later this summer the way it changed Tampa native Marilyn Messina's life, but it might! How good was Goody Goody? For former Tampa Mayor Sandy Freedman, the irresistible flavors of the Goody Goody burgers and pies were more powerful than than her Jewish family's religious observances! We're looking forward to tempting tastebuds later this summer when we bring Goody Goody back to life again in Hyde Park Village. Here's another great clip from the upcoming documentary. "It's hard to find a real pie, an old-fashioned pie. But theirs were the real thing." Diana Almeida of Hillsborough Community College remembers her favorite Goody Goody pie in this clip from the upcoming documentary. Goody Goody news for Diana and fans of coconut cream pie: The house-baked dessert is coming back and it's better than ever! All we want for Christmas is for Goody Goody to open in Hyde Park Village. Happy holidays! Much work goes on behind the scenes to bring Goody Goody back to life in Tampa's Hyde Park Village. Testing, tasting and tweaking recipes has been underway for many months. Here's a glimpse at what it's like at our tasting table as we work on our breakfast items to evoke memories of Goody Goody's rich past while updating and improving the ingredients for the future. Mario Nuñez, host of the Tampa Natives Show, was one of the first people we invited to our Goody Goody Tasting Team. if we could pass his rigorous review, we would know we were on the right track. That makes this endorsement even more meaningful. Thank you, Mario! We look forward to serving you when we open in Hyde Park Village later this summer. Now retired from the 2nd District Court of Appeal, Judge E. J. Salcines has been a member of the Florida Bar for the last 50 years. He's been a Goody Goody fan for even longer. In this clip from the Goody Goody documentary, he shares his vivid memories of savoring the hamburger for the first time. Along with bringing the burgers, fries and pies back to life for new generations to enjoy, re-opening Goody Goody also is an attempt to reestablish the small-town friendliness Tampa knew when the restaurant thrived in its heyday. As former Tampa Mayor and Florida Gov. Bob Martinez says, "You always found people you knew in there." We're excited about the new Goody Goody once again becoming part of family traditions and celebrations after we open later this summer, just like Fran Costantino's family used to enjoy. Anyone for birthday pie? Joe and Gilda Capitano remember a crucial time when a delicious Goody Goody burger came in handy back in the day. We look forward to feeding you and yours, plus one. Retired Hillsborough County judge and former state representative Elvin Martinez compares the former Goody Goody™ to the Times Square of Tampa because everyone you knew in town eventually showed up there for delicious food and to share a meal with friends. During our new employee orientation this week - We're still accepting applications! - we've enjoyed sharing the story of Goody Goody™ and how this is more than a restaurant. It's a place where Tampa's food history is being brought back to life. In this clip by Lynn Marvin Dingfelder and Larry Wiezycki from the documentary, historian Rodney Kite-Powell puts the restaurant into historical context. You can join this effort to bring Goody Goody™ back by applying in person at 1601 W. Swann Ave., in Tampa's Hyde Park Village. Our thanks to FOX 13 for spreading the word about our training this week at Goody Goody in Hyde Park Village in advance of our opening later this month. As the story says, we're still hiring cooks, servers, assistants and hosts to be "Memory Makers." Apply in person between 10 a.m. and 5 p.m. weekdays at 1601 W. Swann Ave., in Tampa. After fostering the birth of Ulele and the rebirth of Tampa Heights through that restaurant, Tampa Mayor Bob Buckhorn understands what Goody Goody™ means to its fans and what it will take to bring it back to life: "It's the fundamentals that matter. It's the history that matters. And it's the story that matters." Training continues today with breakfast menu repetitions. Practice will continue until we are ready to open later this month. Want to join the team? Apply in person at 1601 W. Swann Ave., in Tampa. Goody Goody™ is still hiring. If you’re friendly and enthusiastic with strong hospitality skills and want to join the Goody Goody™ team in this exciting new venture, please complete the job application below and apply in-person at the restaurant between 2 p.m. - 4 p.m. Monday — Friday. Hyde Park Village, next to CineBistro in the former Talbot’s location. 1601 W Swann Avenue, Tampa, FL 33606. It was close to the original location that opened in 1925 – not the fourth one on Florida Avenue that everyone remembers because it was the longest-lasting. Hyde Park Village is a great destination and we wanted to be part of its rebirth. Plus, Richard believes there are no coincidences – and the original Hyde Park Village neighborhood dates to 1905, just like the original Columbia Restaurant. Breakfast will be offered all day. Watch this space. And follow us on Facebook at GoodyGoodyBurgers. What’s the big deal about this place? It was the first drive-in east of the Mississippi. It opened here in 1925 and closed in 2005. People still crave their burgers (with pickles, onions secret sauce), fries and pies – especially butterscotch. Did you buy the recipes? Yes, along with the original 1940s-era Goody Goody sign and some of the original school desk chairs and aluminum chairs used at the former Florida Avenue restaurant. Do the POX Burgers have that secret sauce? Yes. We serve several varieties of burgers without the sauce as well. Do you have butterscotch pie? … Lime freezes? … Beer and wine? We serve breakfast all day, starting at 7 a.m. every day of the week. True to our diner roots, we don't take reservations. 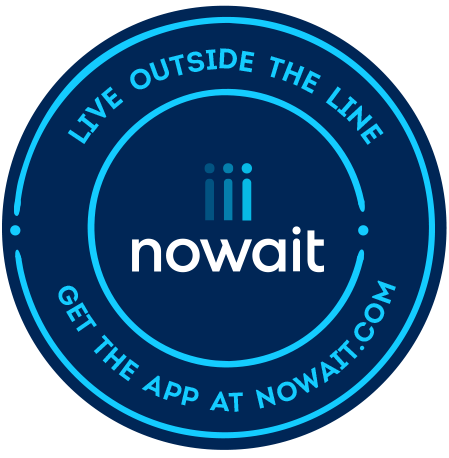 But true to our modern take on a classic, we use an app called NoWait that can virtually help you "get in line." Just download the cellphone app from the Apple app store or Google Play, search for Goody Goody Burgers and it will give you an estimated wait time. If you want to put your name on the list, tap the "Get In Line" bar at the bottom of the screen. It will ask party size and if you have any additional requests. The app will then text your phone when the time approaches for you to be seated. That way, you can walk around and shop the amazing stores in Hyde Park Village until your table is ready! Will it be a drive-though like the earlier incarnations of this restaurant? No, but we have a take-out window with some designated parking spots. Speaking of parking, where is it? There is a surface lot parking behind the restaurant and spaces along Swann Avenue, along with three nearby garages..
Will you open more locations in other cities? We have a second location in Airside C at Tampa International Airport. When we open more, we’ll announce the news here and on our social media channels. Yes, they may be purchased in the restaurant and online here. Some of the old menus had Koom Essa – Goot Essa on them. What does that mean? It seems to be a phonetic spelling of a German phrase that translates to Come Eat Good Food. Sounds “goody” to us. How can I request Goody Goody to support my charity or sponsor an event? Thank you for considering Goody Goody, part of the Gonzmart Family of Restaurants, as a potential donor or sponsor of your event. The requesting organization must be in Tampa Bay community. Donation requests must be submitted via U.S. Mail on the organization's letterhead and include the 501(c)(3) tax identification number as well as a description, date and location of the event. Requests must be submitted at least 60 days before the event. Please provide a mailing address as well as a contact name, phone number and email. Please note: We receive a tremendous number of requests each month. We are unable to fulfill all of these requests. If your request is approved, we will contact you using the information you provided. No follow-up phone calls or emails, please. Drop us a line at [email protected] for questions, media inquires and more. Sun. - Thur. 7 a.m. - 9 p.m.
Fri. and Sat. 7 a.m. - 10 p.m.
Goody Goody Burgers © 2016. All Rights Reserved.